A car collectors dream! Oversized 12 car garage! A rare opportunity to purchase a near new Coastal estate home built by BCB homes in the award winning 36 hole Mediterra golf and beach club. This property is ideally situated at the end of the street featuring light and bright Southern rear exposure looking onto lake and golf course views. A spacious one level floorplan offering 5 bedrooms, office, state of the art movie theater, 500 bottle wine closet, generator, 2 laundry rooms, large covered lanai. An elaborate pool design fun for all ages featuring imported blue glass Sicis tile from Italy with swim up bar and shallow area sun deck area. A full list of features are available upon request. Multiple levels of membership are available. Buyer to assume CDD. © 2019, The data relating to real estate for sale on this Website come in part from the Broker Reciprocity Program (BR Program) of M.L.S. 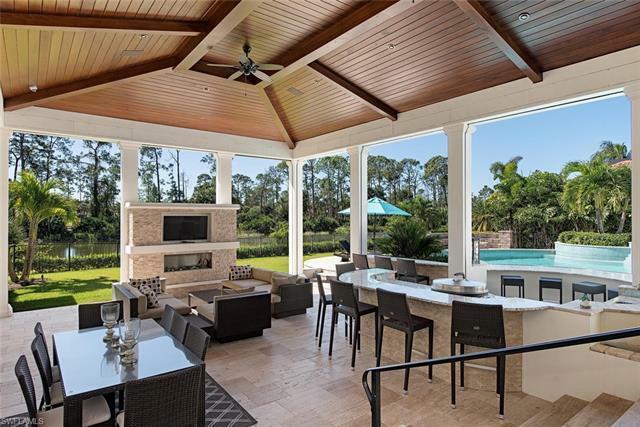 of Naples, Inc. Properties listed with brokerage firms other than Royal Shell Real Estate Inc are marked with the BR Program Icon or the BR House Icon and detailed information about them includes the name of the Listing Brokers. The properties displayed may not be all the properties available through the BR Program. BR data on this website is provided by Royal Shell Real Estate Inc on behalf of Deb Adams Bateman. The source of this real property information is the copyrighted and proprietary database compilation of the M.L.S. of Naples, Inc. Copyright 2006 M.L.S. of Naples, Inc. All rights reserved. The accuracy of this information is not warranted or guaranteed. This information should be independently verified if any person intends to engage in a transaction in reliance upon it. Data last updated 2019-04-24 22:59:37.